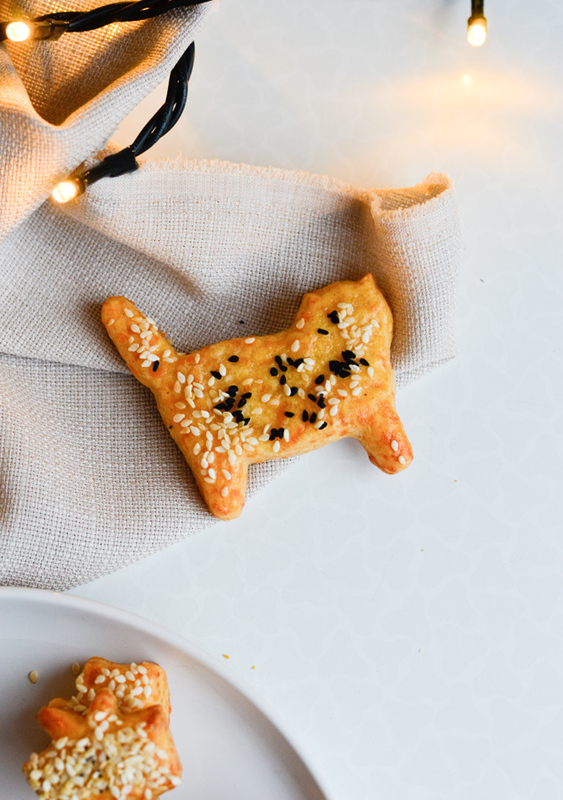 There is no such thing as holidays without puffy cheese crackers! Ooh, let me just tell you something. All I want to do right now is sit on the couch, eat these cheese crackers, have a glass of beer and watch something, anything on TV. The reruns of Home Alone are back and I’m also catching up on How to get away with murder. And that’s basically what I am doing today. Along with some cooking and cleaning. I slept in this morning and am working on getting into the “holiday” state of mind, as I came home completely wiped out yesterday. Grocery shopping before Christmas is crazy. That is the one time in the whole year where people in stores and on the streets are just insane. The traffic, the nerves, the crowds and lines of people… pure madness. And, I know, who am I to say anything when I was there too? But I really don’t feel good when surrounded with so many people and am the happiest at home, wrapped in a blanket. Now, crackers are great to have in front of TV, but they’re also pretty great to have at a party. 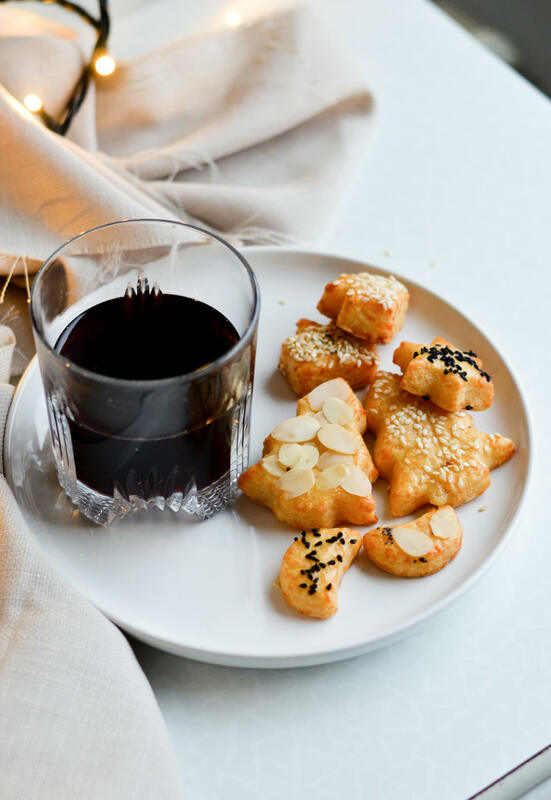 They go hand in hand with any beverage you can think of and from my experience you always have people who prefer salty snacks over anything sweet, especially before dinner. You also have people like me, who always have a little bit of everything, but, well, some people have better manners. If you like cheese plates, which I adore, these fit right in there too, between all the cheese and some chutney. My mouth is honestly watering as I write this. Sure, the savory snack area in any store has enough goodies to choose from, but there’s just something so cool and homey about making cheese crackers at home. 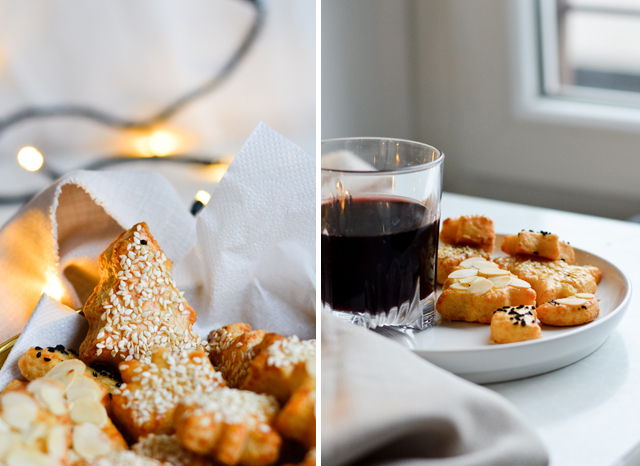 Warm puffy cheese crackers with all the toppings you want, it doesn’t get better than that. I really love Nigella seeds as they’re the most aromatic and flavorful. Sesame seeds are pretty classic and something most people know and like. Sliced almonds love cheese almost as much as I do and they nicely add that mild nutty flavor. These cheese crackers taste the best when they are fresh, as they lose some of their crunchiness each passing day. If you’re making these for yourself, then you probably won’t have too much of a problem with eating them in their prime time. However, if you want to make them either for a party or to give away, it’s best if you bring them fresh from the oven. The dough is very buttery so it needs to chill after you make it. That takes a chunk of time and these days it seems we’re all running out of it. Because the recipe includes baking powder, you might fear the crackers won’t rise if you chill the dough for too long. But I tested this and chilled the dough overnight and didn’t really notice a difference in the crackers I made with it. They were just as crunchy and puffy and pretty darn good. I hope you make these, but whether you do or not, I just hope the next few days will be fabulous! Merry Christmas to those that celebrate! 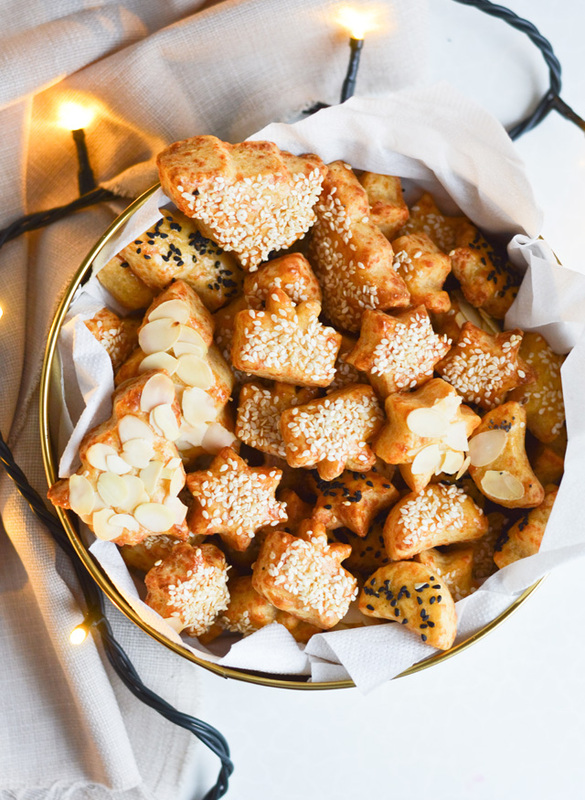 Puffy cheese crackers for everyone to snack on! Also a great addition to a cheese plate. Recipe makes up to 70-80 crackers, depending on size. toppings: Nigella seeds, sesame seeds, sliced almonds, poppy seeds, etc. 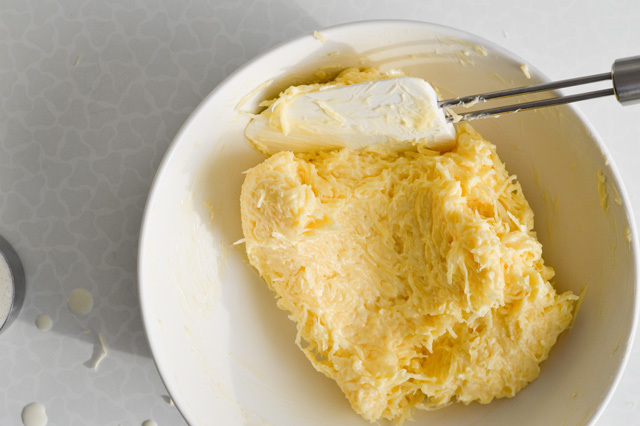 Beat butter until it’s really soft and creamy, add cheese and stir until well combined. Add cream and stir until incorporated. 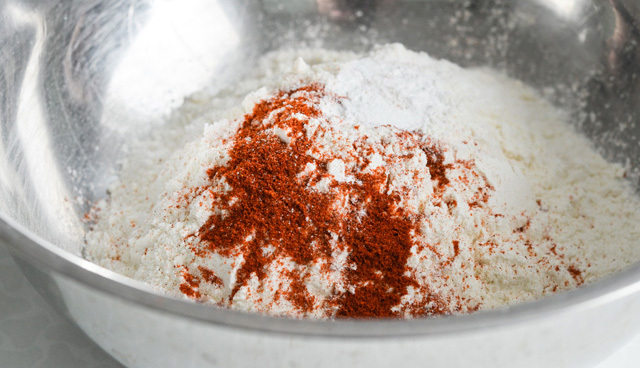 In a bowl, sift together the flour, salt, paprika and baking powder. 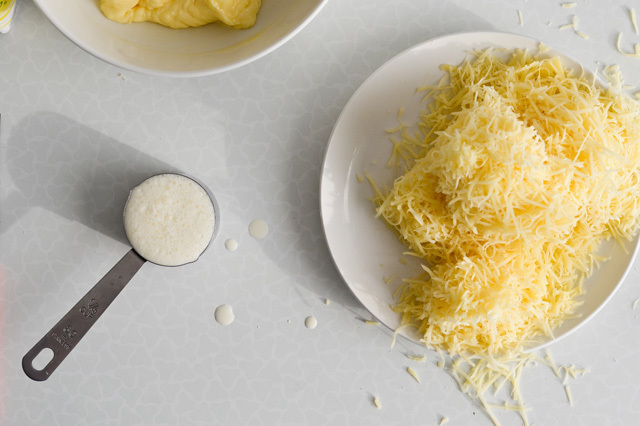 Gradually add to the butter-cheese mixture. Keep stirring and kneading until you form a ball of dough. It should be soft, but not overly sticky, so add more flour if needed. Or, if it seems dry, add a tablespoon or two of cream. 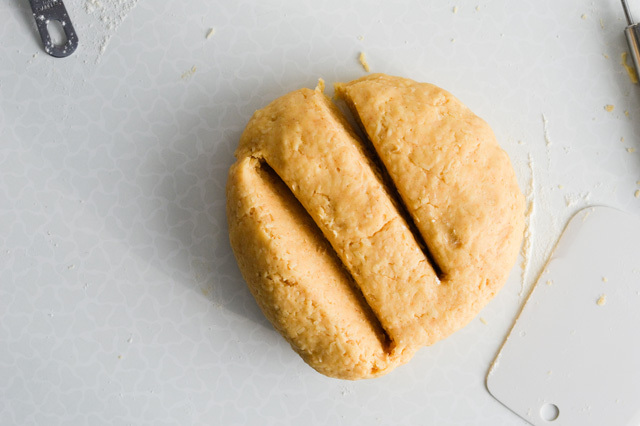 Divide dough into three parts, flatten each into a disk and wrap in plastic wrap. Chill in the fridge for 2 hours or even overnight. Preheat oven to 210°C (410°F) and line cookie sheets with parchment paper, set aside. Take out one of the dough portions, let it sit at room temperature for a few minutes. On a slightly floured surface, roll out the dough 0,6mm (about 1/5 inch) thick. 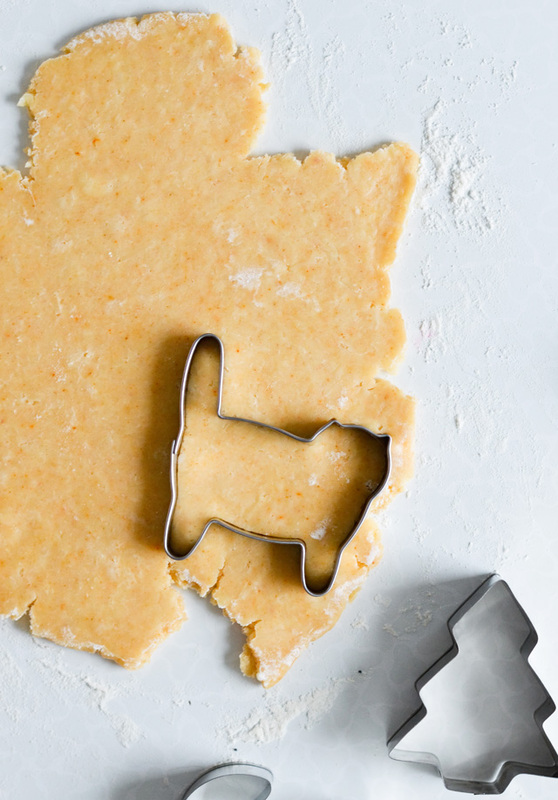 Cut out desired shapes and place crackers on prepared cookie sheets. 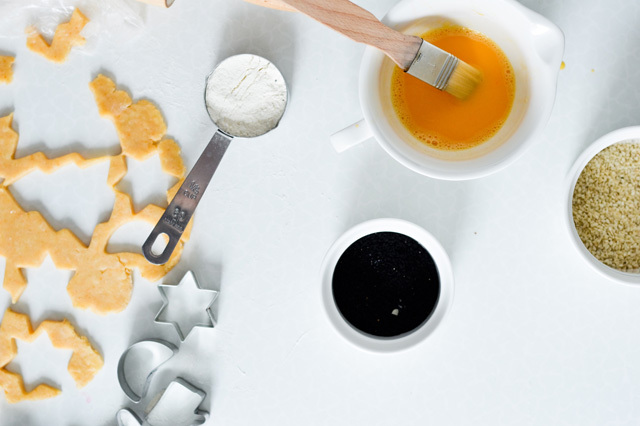 Brush each cracker with the egg, sprinkle with seeds. 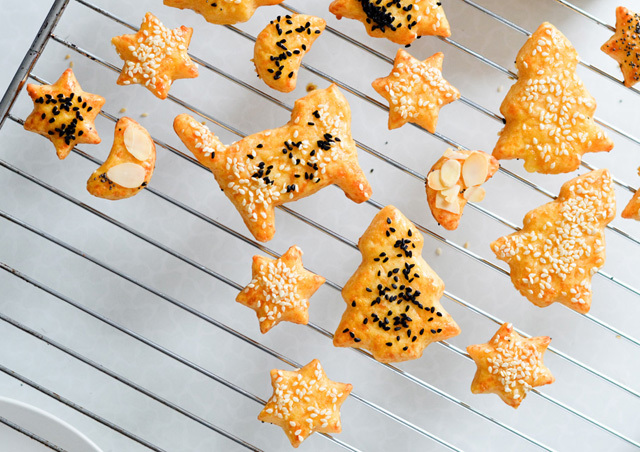 Bake for 10-15 minutes until crackers are golden and puffy. Meanwhile roll out the second dough, and later on the third. 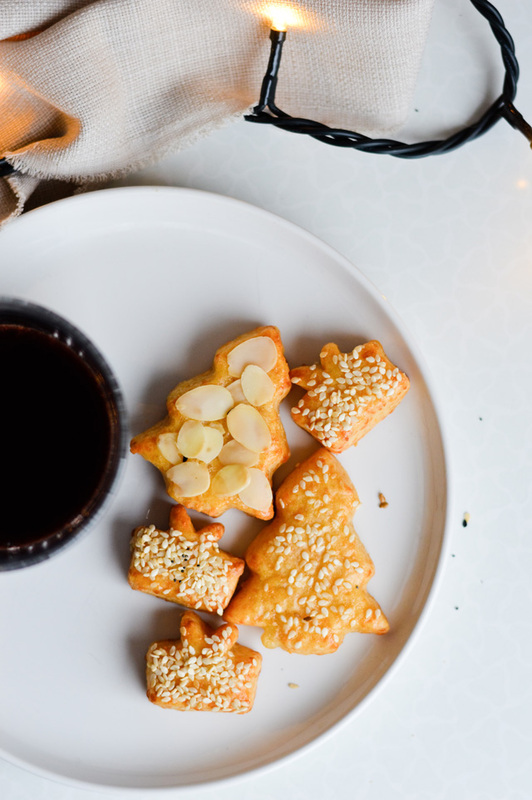 Place baked crackers on a cooling rack or large plate and cool to room temperature. When cool you can stack them on top of each other. The crackers last up to 4-5 days, but get softer and less crisp each day. You can try to re-crisp them by baking them again in the oven set to 180°C (355°F) for a few minutes (this will dry them). Recipe only slightly adapted from Backvergnügen wie noch nie (1988 edition) by Teubner Christian and Wolter Annette.